Though I rarely tend to get political in this blog—after all, the subject matter is supposed to be about new album releases—I’d just like to say that the recent Presidential Inauguration ceremony was, no matter your political affiliation, a wonderful affirmation of the power of music. Top-level artists were present. We have a president who is not averse to singing the opening line of Al Green’s “Let’s Stay Together” hearing it performed at his own inaugural ball. And we did not have a queue of performers conspicuously clamoring to disassociate their best-known songs from the campaigns of candidates whom they didn’t support. Plus, now when people accuse me of lip-synching my blog, I can just turn on my DVR, walk to my refrigerator and get a Diet Coke, come back and meet a warm audience to whom it doesn’t matter in the slightest! You should all meet my dog Sparky! 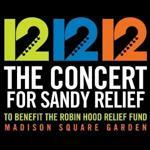 Various Artists: 12-12-12 The Concert For Sandy Relief (Columbia) It would be the essence of uncool to take issue with this 2-CD set documenting the recent concert at Madison Square Garden benefiting the victims of Hurricane Sandy, if only for the fact that 100 percent of the net proceeds from the album’s sale will go the charitable Robin Hood Relief Fund, which is no small matter. 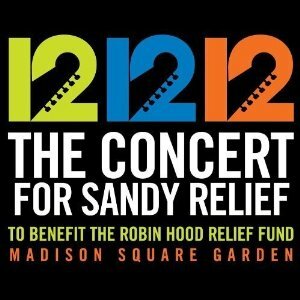 Included are performances by Bruce Springsteen, the Rolling Stones, Paul McCartney, Billy Joel, Roger Waters, Alicia Keys, the Who, Bon Jovi, Eric Clapton, and Chris Martin, among others, most of which are fine, serviceable, memorable, and the sort of thing that makes you proud to participate in, purely on a charitable basis! So let’s just say it’s a good thing and leave it at that! That said, what the heck is the deal with all these new serialized TV shows you get emotionally involved in and then you find out they’ve been canceled? WTF! That stuff’s important too! 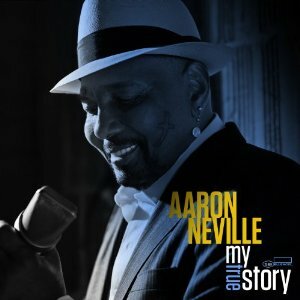 Aaron Neville: My True Story (Blue Note) An absolute joy—doo-wop-inspired classics sung by one of the most unique voices in pop music history, co-produced by Keith Richards and Don Was, and thematically proving to be New Orleans’ legend Aaron Neville’s strongest album in years. With the backing of a stellar band, a well-chosen collection of classic tunes –“Ruby Baby,” Money Honey,” Little Bitty Pretty One,” “Tears On My Pillow” and more—Neville’s return to the forefront is an unexpectedly joyous and dreamy project that looks backward but emerges as an inspiring and emotional contemporary return to form. I’m not the sort of guy who recommends Valentine’s Day presents, but—between you and me—you’ll get a higher return for your investment here than by popping for that new Ke$ha album! 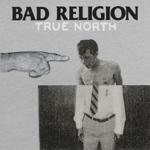 Bad Religion: True North (Epitaph) Bad Religion’s legendary status as one of America’s best and longest-lived punk bands makes a strong showing here as the affable combo this time takes on Presbyterians—heck, I never paid much attention to them, but if they’re bad, say no more!—and depicts on its cover the hand of God accusing some poor sap of not being appropriately dressed enough to enter his nightclub! Man, that’s cold! As always, a rock opera—for that is Bad Religion’s way—True North then depicts the man, seconds after his heavenly rejection, returning home to listen his copy of Brother Jack McDuff’s Tobacco Road, breaking open that bottle of single-malt scotch he got for Christmas, and then making a late-night phone order for ExtenZe after watching an especially compelling commercial on Direct TV! Between you and me, deaf, dumb & blind guys who can play pinball may be a bit more believable—but that’s so last century! Adam Ant: Adam Ant Is The Blueblack Hussar In Marrying the Gunner’s Daughter (Blueback Hussar) While admittedly similar to the recent Marc Almond Is Wearing A Long Black Veil And Claiming To Be The Widow Olive Oyl by Soft Cell’s own Marc Almond, at least in theme, this new album by ‘80s star Adam Ant is exactly what the doctor ordered! Though the cover depicts him younger and more androgynous than I remember—heck, those MTV dudes always liked the make-up!—it’s just jarring enough to make me forget that time he was standing in front of me in line at the Poquito Mas in Studio City in the late ‘80s and ordered a steak burrito or something! If you lived out here, you’d know what I mean! I’m predicting a massive return to the Top 40 with new track “Bulls**t,” unless the title proves problematic! Welcome back, dude! 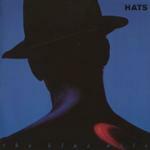 The Blue Nile: A Walk Across the Rooftops: Collectors Edition, Hats: Collectors Edition (both Virgin) It’s one of those weeks in which, sad to say, the absolute best albums being offered are deluxe reissues of classics originally offered in the ‘80s! Yep, just as you’ve always suspected, all the best stuff came out long before you were born—but still, that new Hoobastank may be the winner we all hope for in 2033! As classics go, these first two albums by Scotland’s Blue Nile are absolutely mesmerizing, minimal classics that are about as emotive as good pop music ever gets, and here they’re both bolstered by an additional disc, each adding weight to albums I would readily describe as true pop classics. If you haven’t heard them, you need to; if you have heard them, a good re-listening with these bonus discs is in order; if you’re into driving around late at night on an empty road with the stereo blasting, tears in your eyes, and a bridge abutment heading toward you at 90 mph, you should definitely stop at that Wendy’s! 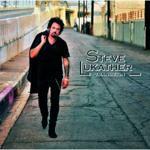 Steve Lukather: Transition (Mascot Label Group) It strikes me as interesting that in the late ‘60s and early ‘70s I used to turn my nose up at any jazz recording that featured an organ—thinking, in my youthful way, that it comprised a “sell-out” to the jazz traditions I was learning via Impulse records and their stable of stars (John Coltrane, Pharaoh Sanders, Archie Shepp, etc. 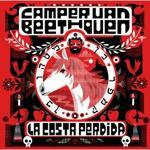 )–and within a decade or so came to love the greasiest of ‘early ‘60s organ solos I could find. 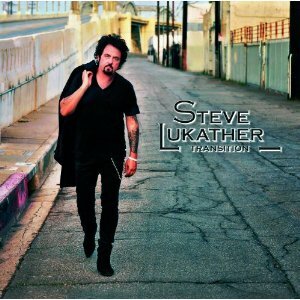 I mention this because Steve Lukather, an enormously talented guitarist with a resume that is jaw-dropping, has enjoyed a similar “stigma” of sorts purely because of his session work, his association with Toto, etc., during the past few decades. It’s not only been vastly unfair—and slightly stupid—but as this album shows, he has consistently played the guitar with near-inhuman perfection, and as even his earliest work attests, he’s never been less than a master of his craft. It’s something that struck me over the past decade as I’ve gone back and intermittently listened to nearly every album that bears his name in the credits. That and the fact that fewer and fewer people return my phone calls! Keep at it, Steve! 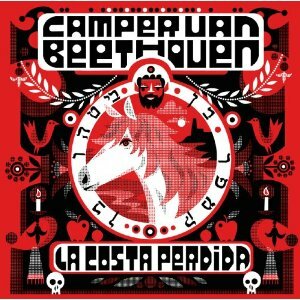 Camper Van Beethoven: La Costa Perdida (429) While I admit to coming late to the Camper Van Beethoven party—it was in Big Sur, everyone wore sweatshirts, drank beer out of massive German steins and ate Slim Jims—and basically getting there backward because I enjoyed Cracker so much, I’m not averse to taking a stand and suggesting that, heck, maybe I was wrong! Maybe they were really good and not a bunch of burned-out Northern Californian dudes whose sets I had to sit through while waiting to watch bands I really cared about! So the perhaps unexpected return of these mid-‘80s heroes comes at an especially good time! 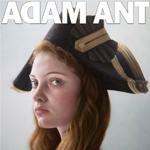 I’ve thrown integrity out the window! And I like what I hear here—good, innovative stuff, precisely what you might expect from a band who decided to reform not because of massive consumer demand, but because they enjoyed playing with each other and having the opportunity to release an album that when translated from Spanish means I Like To Hang Around The House Wearing Nothing But A Lacoste Shirt And Watching Predator DVDs! Sure it’s a Coldplay rip, but what the heck! Petra Haden: Petra Goes To The Movies (Anti-) The insidious aspects of reality TV have so changed our culture that things that might have previously been unthinkable—a show based on morons from New Jersey, for instance—are now deemed fully acceptable artistic statements! And so it is that the admittedly talented Petra Haden, daughter of legendary jazz bassist Charlie, who has already released a sparkling, innovative a cappella rendition of The Who Sell Out, returns here with a gripping account of her recent night driving to the Sherman Oaks Galleria to watch Abraham Lincoln: Vampire Hunter! Understated intro “Driving On the 405” sets the stage for the gripping opening track “Buying The Tickets / Paying For Popcorn,” ambient follow-up “Sticky Floors” is as emotionally revealing as you might suspect, and “I Drove All This Way To Watch A Frickin’ Los Angeles Times Commercial?” proves an exciting conclusion to the disc’s first side! Side Two is something of a blur, but the last track—set at the famous Canter’s Restaurant on Fairfax—involves a Key Lime Pie and is one hell of a climax! In all? “Petra” is a good name! 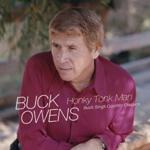 Buck Owens: Honky Tonk Man: Buck Sings Country Classics (Omnivore) As one of the most highly regarded figures in Country Music, Buck Owens has been anthologized all over the place—but here, on this unique set released by the interesting new Omnivore label—he’s heard in an entirely new context. The 18 tracks included are all drawn from sessions Owens held in his Bakersfield studio in preparation for their performance on classic TV show Hee Haw, and most of them—classics first performed by the likes of Jimmie Rodgers, Bob Wills, Hank Williams, Faron Young—are impeccably played, very well sung (considering they were not intended for public release), and a strong addition to the catalog of one of Country music’s most charismatic and well-loved figures. With additional material from Wanda Jackson, Merle Haggard and George Jones coming soon from Omnivore, classic country fans are due for a very well-curated taste of the good stuff. 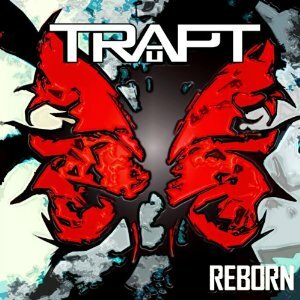 Trapt: Reborn (Everything Entertainment) A return by one of my all-time favorite bands—I like the way they spell “Trapped” with a T!—Reborn features everything you ever liked about this band and more! There’s music on it! Consumer alert: They pay you more when you buy the Deluxe edition!